We received 10 AVR-IoT WG Development Boards as giveaways for AVRFreaks. What crazy things would you build with your free AVR-IoT WG board? Comment below, by Dec 11, for a chance to win! 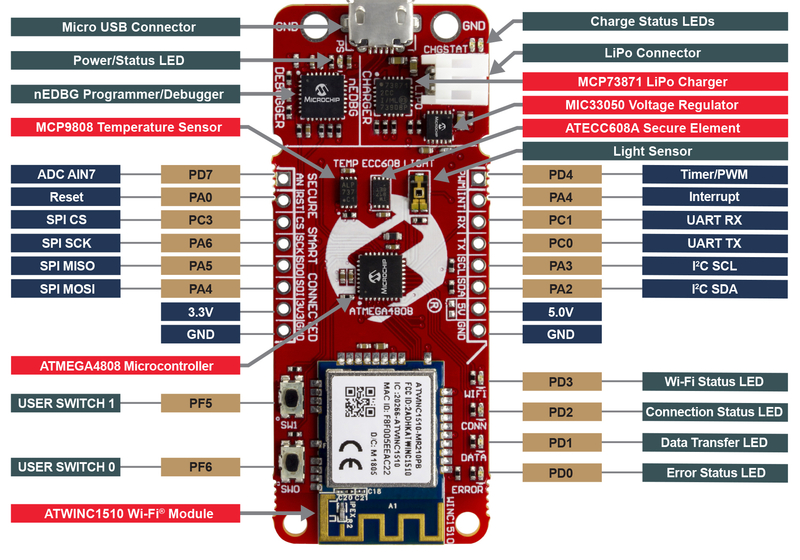 This board demonstrates how easy it is to set up a secure connection to Google's Cloud IoT Core platform and pump data to the cloud. You do not need to worry about the Wi-Fi stack as it runs on the Wi-Fi module, and the unique certificates are preinstalled on the crypto chip. Sweet! I've always wanted to build some kind of monitoring system for my house; temperatures, water flow and pressure of the district heating system and temperature inflow and return (energy consumption), pressure of the freshwater, outside temperature, humidity inside and out, wind speed and direction, rain etc. etc. I was actually planning on building some kind of PLC system to collect the data, but I might be inclined to something like this if I can easily have it on-line accessible. 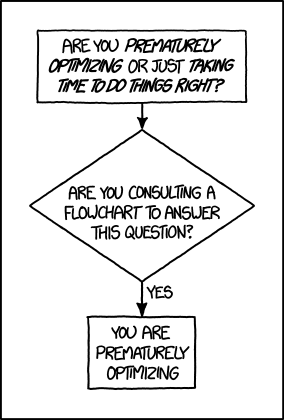 Possibly it could be interesting at my job too (automation), but I might have a hard time convincing my boss to let me spend hours developing something from it! We have an idea of collecting different data for our customers and presenting them in some kind of cloud solution, the challenge though, is that the data is partly already available in existing PLC solutions and it would be "easier" just to grab it with the existing PLC or at least it will be less labor intensive implementing it in a new PLC, however getting it from the PLC to the cloud is the challenge. This looks like a nice board for prototyping and producing PoCs. Having had more of a look, I have an application where this would be ideal for the PoC. IoT application in Trading Room, don't want to say too much more. Neat board. Wouldn't mind playing around with one. To be honest though, I likely wouldn't ever use it with cloud-based services of any kind. I'm more likely to use it to develop/prototype non-cloud, closed-circuit applications, like wirelessly controlled props and lighting effects for stage. Perhaps a home power/voltage monitor. Thank you for thinking of the AVRFreaks gang. Unfortunately, neither Bascom nor ZBasic support the 4808 (yet? ), and I just don't have time to learn C right now, otherwise I'd throw my hat in the ring. Interestingly, just this past weekend I spent 4 hours (oh my aching back, knees, hands, etc), on the roof installing a Main's powered heating cord to prevent ice and snow build up. I was thinking of putting a ESP8266 / XmegaE5 board outside to send me an internet accessible indicator of when the heater is on or off. Heck, once one has the link, one could easily make it a IOT bi-directional control, and turn it on and off from my phone, etc. This would be a great little board for that project, unfortunately I don't have the skills required to program it. I ordered one from Digikey, hope to find time to play with it soon, perhaps some cold snowy day I'll have time to hook it up! Darn! I have an application, a good one. Design really is likely to use an M48xx device. WiFi is one of several planned access ports, others including LoRa, BTLE, and various wired systems. Would love to get my hands on something that provides a WiFi stack in the WiFi device. Fortunately for me I don't have any planned projects. Oh no. Nononono. Stop..... Don't tempt me. Nooooo, I don't have time for another interesting board. I have plenty of other projects, and not nearly enough time. Please do NOT pick me. I don't want it. My garage lighting is controlled by a mega162 and a 28j60 ethernet chip. It's time for an update! It did four channels of frequency locked phase control. At 8MHz, the ‘162 was working hard and some hand crafted asm was used. Extra cpu performance and peripherals might eliminate the need for asm. I have a project in mind that would probably suit this dev board. I think it might be very simple in terms of electronics and programming but also requires some hand made objects to be built. It's a frequency controlled wind blower to avoid smoke coming out of the fireplace. Then it would be controlled either by phone (wireless) or by a remote control or even from a web page. In terms of electronic stuff, the project would need sensors for temperature, particles (to detect smoke, I really don't know how to detect smoke), a pwm system to generate the desired frequency and I think it's all. Throwing my hat into the ring also, but like others I can do without 'the cloud'. I'd be happy just to have my own WiFi LAN, if I can enforce rules that any device will NEVER connect to anything else, and any device not explicitly permitted is denied. Looks like fun, though! S.
The winners are: geronimo, joeymorin, daflippers, ka7ehk, svuppe, kartman, psysc0rpi0n and scroungre. You'll get getting a pm in the next days, to get the your shipping details. Fantastic! Finally I get to play a bit with a micro again! Anyway, now it is time to get out of my XMega bubble I've been in for the last several years, and have a closer look at this Mega4808 thing. I know I am not going to break any speed records, as just typing in my wifi password will take longer than 30 seconds. Woo Hoo! There really is a Santa! Although I'm afraid a 'hunting for AVR IOT Things' algorithm would make my (satellite) internet connection very unhappy. S.
It will take some months before I can get around to it. But, I will. Very Grateful! It will take some months before I can get around to it. But, I will. I'm finishing my school project and in about a month I think I'll be ble to start having fun with this. I haven't received my board yet, but I think I already spotted a mistake in the documentation / picture? The image is wrong - the silkscreen on the back correctly shows PD6 on interrupt. And it seems he comes early this year. I got a sms this morning, informing me that I can expect a package delivery monday. And as I don't have any other packages on the way (that I know of), I guess it has to be this. As far as I can tell, there are two ways to develop an application for this ESP device. There is an interpreted script language called Lua that is included in the ESP, and there is an Arduino implementation (that the developer has to install into the ESP), which allows programming in the C++ language and use of most Arduino downloadable libraries. I don't have an ESP device, so I don't know how much of all this is simply "exuberance" generated by various Marketing departments. My inner spider sense tells me that this entire ESP thing is probably extremely difficult for an ordinary Muggle to get any specific application working productively. The $29 AVR-Iot-WG (really, you guys should just call it "the AVR Idiot! ", but I'll just call it the Avriot) seems to be (after a brief review of the web information) an 8-bit CPU combined with a WiFi stack. The Avriot has a built-in path for easy data storage and a hardware-based CPU debugging system. That, plus a lot of support from Microchip/Atmel Field Support Engineers. For an unspecified fee, the data generated from the Avriot can be stored on Google's "Cloud". The "Cloud", as I understand it, is a pair of giant warehouses packed to the roof with ultra-high-density hard-drives. From what I know, there are two physical locations of the Cloud, both in central Oregon USA. The Amazon Cloud is in The Dallas, Oregon (yes that's its official name) and the Google Cloud is in Prineville, Oregon (about 100 miles south of The Dallas). The Cloud is located here because there is abundant cheap hydro-based electricity, an intersection of the major Internet intercontinental fiber-optic cables, and the connection between two of the main automobile/truck highway systems of the USA (the West Coast I-5 highway and the East/West I-84 highway). Plus the weather's nice, the school's are good, the food is cheap, and the girls are pretty. Nerd heaven. Package received from Chandler, Arizona (on a Saturday, no less). listing my own so as not to bias the response. Calling IoT "idiot" has nothing to do with any opinion or observation on the basic technology. It's based solely on the notion that the only word in English that has the letters 'I', 'o', and 'T' remotely close together in that specific order is the word "idiot". Which is what any native speaker of English is going to see when presented with combination of letters: 'IoT'. And how is this supposed to be pronounced anyway? With a tripthong: 'eye - ah-t'? or do we bang out the letters: 'eye' 'oh' 'tee'? I'm not sure where from the part is coming but I haven't got any yet in Portugal! I just got my package. Thanks Microchip and AVR Freaks! Got mine yesterday. Thanks Rachel. Has anyone had a chance to get one up and running? Well, it didn't take long to set up the SSID/Password in the demo project and see some data on my screen!